I love this clip. Among other reasons why, it reminds me of how great it is to just open up and sing along with gusto. It should be noted that Mark Kozelek (of Red House Painters, Sun Kil Moon and solo) is the first to start singing. A couple months ago I read two books in a row with different views of the American South and I’ve been meaning to review them together. 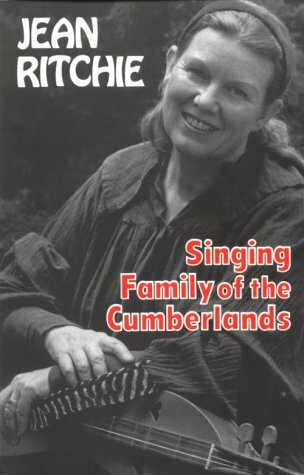 The first was Singing Family of the Cumberlands by Jean Ritchie. It was a recommended book for a class I took in the fall of 2002 and I’m glad I finally decided to read it. Jean Ritchie was the youngest of thirteen children, growing up in Viper, Kentucky, in the Appalachian Mountains. Her family was well known–and well documented–for singing ballads, in the Anglo-American folk tradition. That is to say, they sang ballads that came over with English, Scottish and Irish settlers and could still be found on both sides of the Atlantic. The best documented of these were the Child Ballads, but that could take up a whole lot more space if I decided to talk about those. Written in 1955, the book is a memoir of her childhood. As fascinating as her descriptions of growing up in the early part of the 20th century in an isolated part of the Appalachians are–and they are–what really makes this book special is the songs. Interspersed in the book are transcriptions of the ballads. Say there’s a vignette about learning a particular song around a fireplace on Christmas. Well, the song is there in the book, both music and words, if you want to sing along. The writing is wonderful and evocative, too. She immediately sets quite conversational tone and it feels like she’s telling you her family stories from the armchair next to you. In that sense, it reminds me a lot of Cash by Johnny Cash. The stories of her childhood, drenched in music, of course, cover the gambit: the rough times, the hard work, and the good times. Overall there is a bit of rose-colored glasses for the simple old times, but she also doesn’t the reader from hearing about the hard times. If you have any interest in Appalachian music or culture, I’d recommend this book. You can pick it up at amazon . 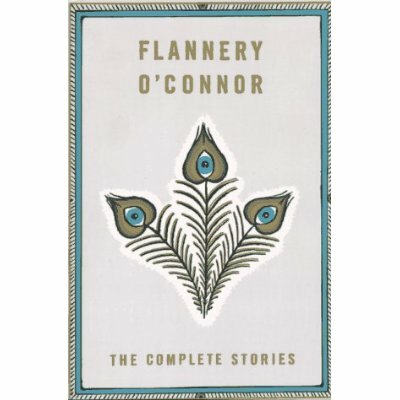 After having some of my favorite songwriters refer to Flannery O’Connor–particularly Sufjan Stevens and David Bazan–I decided I’d read some of her works. If you’re unfamiliar with her writing, she was a classic Southern Gothic writer, writing stories of the South with dark, twisted characters and plots. The stories are written in a dense prose and some take quite a bit of effort to wade through, but the best among them are quite amazing stories. She really sucked me in to the lives and worlds of her characters and even when I saw a hint of the outcome, I still enjoyed reading it. She’s also known as a Catholic writer, but more often than not, if religion enters the story at all, it’s much more ambiguous or complex than one might expect from someone so well known to be writing from a religious point of view. She died quite young and the complete short stories covers a lot of her output. Besides the stories, she only wrote two novels. And with anything complete you get not only the greatest hits, but the stuff in between and the warm-up in the beginning. If I had to do it over, I might start with a selection of her short stories, but if you’re a completest, this is for you. You can also pick this one up from amazon. I forgot a couple music related things. My music blog recently hit two milestones: two year anniversary (some of my favorite posts and comments; remember when it all started?) and 1000th post (10 desert island albums x 100 desert island songs). A few weeks ago I went to SxSW and saw 46 bands and 23 shows in 4 days. I recaped it at my music blog but I got a number of questions about what the highlights were, so here’s some of that. “Bury Me Beneath the Willow”–melancholy and gorgeous. This version by Almeda Riddle. “Stick to the Craythur”/ “Humours of Whiskey”–great Irish drinking song. I’m really bad at learning lyrics, so that’ll take some work.